According to the latest census information, Seattle's population grew by 2.3% between 2014 and 2015, making it the country's fourth fastest growing city. While Denver holds the number one spot for now, it was only two years ago that Seattle was at the top of the list. With a robust job market, heaps of educational and cultural opportunities, and second-to-none urban appeal, this capital of the Pacific Northwest has plenty of fans. If cities are your living environment, whether by choice or by necessity, Seattle is among the nation's most appealing urban environments. And one of the city's best features is the abundance of proximate outdoor adventures. Seattle is home to a hugely active population, and visitors and residents alike can be found outside enjoying the city rain or shine (or rain or rain). Exploring Seattle means exploring its outdoor haunts: trails, parks, and waterways. Whether you're into trail running through an urban forest, launching a kayak from an urban beach, or simply grabbing the kids and heading out for a picnic in an urban park, this town has more to do than anyone can reasonably expect to handle. We've started with a few suggestions below, and for a more complete list, search for Outdoor Project adventures in the Seattle and Tacoma region. Better yet, get out to a new spot and share your own adventures with the Outdoor Project community! The Chirico Trail. Photo by Tyson Gillard. Alki Trail: Fantastic views from this 4-mile, easily accessible multi-use path. Green Lake Inner Loop Trail: This 2.8-mile trail is wide enough to accommodate pedestrians, bikes, skates and strollers, and it makes for close exercise option with great views. Arboretum Waterfront Trail: Floating docks, narrow paths, sidewalks and alleys; it's all part of this unique route that showcases wetland flora and fauna. South Canyon Trail Loop: This short walk just north of the city in Saint Edwards State Park leads you down to Lake Washington. Poo Poo Point via Chirico Trail: Sure, it's a little outside of the city, but the views from the top are well worth the trip. Expect a little company on this challenging hike unless you hit it in the mornings or mid-week. Views of Seattle from Seacrest Park. Photo by Tyson Gillard. 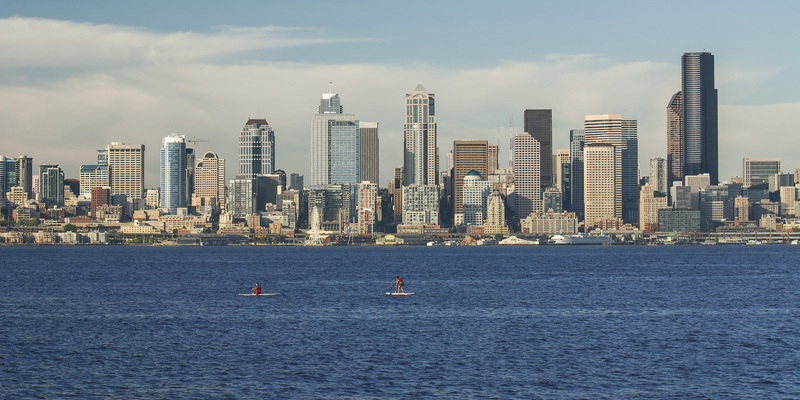 Seacrest Park: The Alki Trail leads by this iconic park that dishes up some of the best city skyline views around. The beach is a very popular spot to launch SUPs and kayaks when the weather warms up. 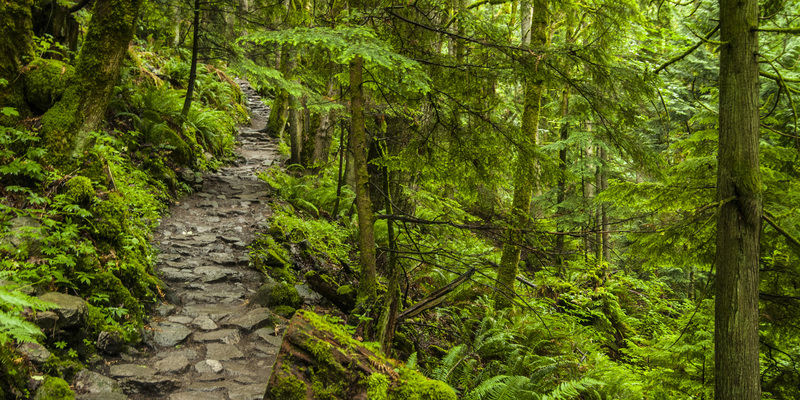 Carkeek Park: This 216-acre natural area located at the mouth of Pipers Creek just a few minutes from downtown in Seattle's Broadview neighborhood is a fascinating mix of forest, wetland, and beach that offers visitors a range of activities and excellent views. Gas Works Park: An emblem of transformation, this former coal gasification plant is now one of Seattle's classic urban parks. Rolling grassy knolls, unbeatable views, and the rusted industrial buildings make this park a unique stop. Volunteer Park: Located right in Capitol Hill, this park is a great getaway for a few hours in the city. An extensive conservatory and art museum are great indoor options, and the wading pool and open picnic areas are there for you when the weather warms up. Golden Gardens Park: Seattle's go-to beach, this Ballard staple is large enough to accommodate the considerable crowds that hit the sand on warm days, but it is also a popular boat launch, picnic area, and hiking location. Paddling to Carkeek Park from Golden Gardens. Photo by Matthew Williams. Washington Park Arboretum Kayak/Canoe: Renting canoes is easy here, and there's no better way to check out the diverse flora and fauna in this section of Lake Washington. Mercer Slough Kayak/Canoe: Take a guided canoe tour at nearby Mercer Slough if you are looking for more educational instruction. A quick 4-mile tour around the slough is sure to yield some close interactions with the birds of Lake Washington. Golden Gardens to Carkeek Park Sea Kayaking: At 4 miles round trip, this is an easy paddle to make in a half day without a shuttle. Great views, short distance, and easy access make this a good option for beginners. Duwamish Waterway Sea Kayaking: Embrace your urban environment and paddle straight into awesome perspectives on a busy West Coast port. Towering freighters, skeletal cranes, and impressive views of the city skyline await. 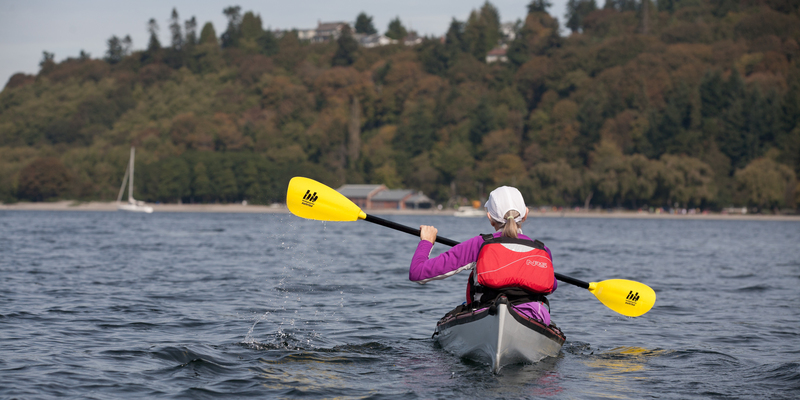 Vashon Island Circumnavigation: Once you have your paddle wet with a few shorter excursions, a circumnavigation of nearby Vashon Island makes for a fun weekend trip. At 35 miles, you can easily break this up into two days with a stay at Lisabeula Park. Be sure that you can handle the tricky currents and navigation on this paddle before you set out, however. Awesome city. Feels proud to have done all these places.